Sierra Nevada Cia. Ltda. 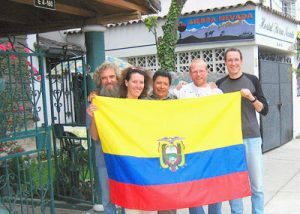 is one of the first Specialized Tour Operators in Ecuador. Founded in 1988 by Freddy Ramírez, who has set in Ecuador many standards and steps for today’s climbing, trekking, rafting and other areas of adventure tourism. We offer you the finest and most exciting trips all over the country, such as : Galapagos Islands, Amazon Lodges, Highlands Treks, Mountain climbing, Biking, Rafting, Daily Tours and Package tours. So please, chose one of them in this website and contact us for an individually tailored itinerary! 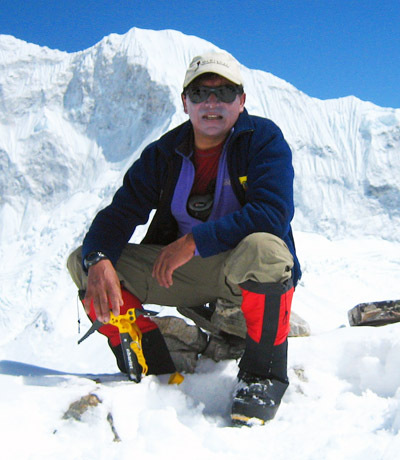 Freddy Ramirez is an internationally experienced and accredited adventure guide. 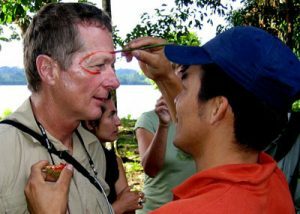 He bears certifications from ASEGUIM ( Ecuadorian Mountain Guide Association) as a Senior Instructor, Ecole National du Skie et Alpinisme (ENSA-Chamonix), Ecuadorian River Guide Association (AGAR), and from the Hotel Management Institute Klessheim(Salzburg, Austria) as an hotelier. His experience includes high-altitude rescue courses in Austria (ÖAV – Austrian Alpine Club) as well as in Chamonix, France (ENSA – Ecole National du Skie et Alpinisme ) and several private and commercial expeditions all over the Alps, the Andes including Aconcagua, Ilimani, Huascaran, Alpamayo and Mount Mc. Kinley, as well as in Nepal- Everest trek up to camp I and Island peak. Part of what makes us going to the mountains, is getting to interact with other cultures. In all our journeys, we travel to many different places and interact with people of different beliefs and ways of life. We strive to be culturally sensitive and open minded, curious and involved in an attitude that has taught us many thing and brought us friendships from all over the world. 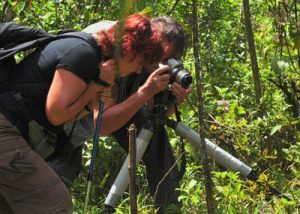 Commonly, we hire local expedition staff in support of the local economy. After so many years in business, we still have a cero percentage of no-injury record, something we are very thankful and proud of. Equally, we strive to ensure a quality experience, safety, and fun are an integral part in our trips. With a flawless safety record, an intimate knowledge of the local environment, and the ability to truly accommodate your goals, Sierra Nevada expeditions, sets a standard only few other outfitters can match. Nature is the place where we play and work, it’s a special place and dear to us. In our function as guides, we perceive ourselves as mentors and role models in caring for the environment. We adhere to “See as it is and leave as it was” principles, and cooperate with National Parks and Natural Reserves regulations, managing efforts to keep our land clean and wild. Our guides take pride in sharing this respect and love for nature with their guests. Enthusiast and passionate mountain man, who bears more than 20 Years of experience all over the Andes (Ecuador, Peru, Bolivia), Alps (Austria, Croatia) and recently in the Himalayas (K2), he will guide and /or supervise all details of your climbing trip, Fluent English and some German command, he has been working in Sierra Nevada Expeditions for about 15 Years. 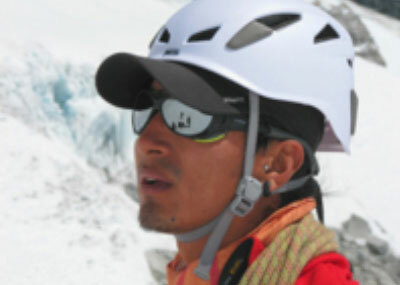 Besides him, All our guides have a certification from ASEGUIM (Ecuadorian Mountain Guides Association). And some of them from UIAGM. Form Sierra Nevada you can expect nothing less than the most experienced and the highest performance group of guides, all them have undergone rigorous training with ASEGUIM which is supervised by UIAGM. All guides working here are handpicked considering their experience, training, skills, honesty, friendly etc. Each of our guides has completed medical training and certifications.